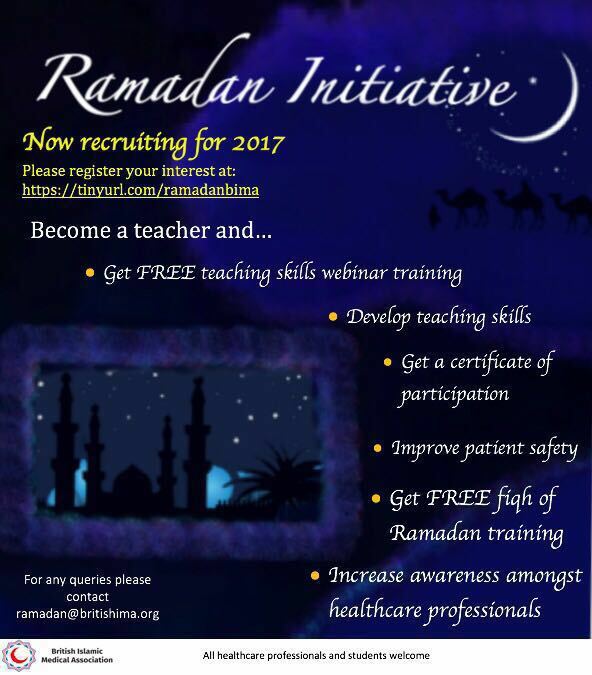 LAST CHANCE to become a Ramadan Initiative teacher. The Ramadan Initiative aims to increase awareness amongst healthcare professionals and advise them on Muslim patients who fast during Ramadan, looking at practical considerations to help optimise their healthcare. 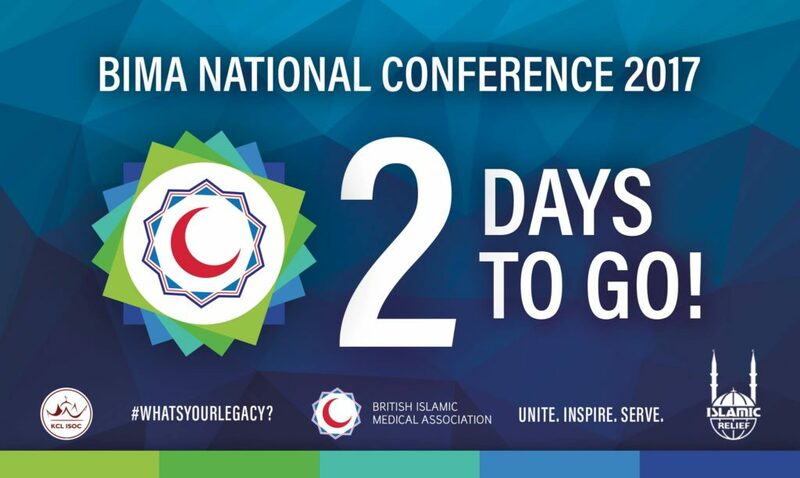 Just 2 days to go till our first ever national conference! We’ll be posting live on all our social media platforms this weekend. 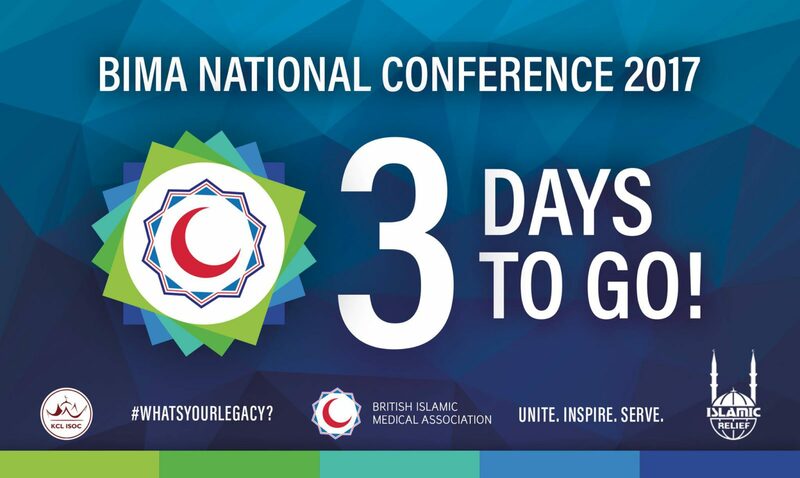 There are only 3 days left until BIMA’s National Conference this weekend! Tickets have sold out, however, we are offering a platform for people to communicate and transfer tickets. Please leave a message on our Facebook post below. Once you have identified someone to transfer tickets to/from, please email conference@britishima.org and we will facilitate refunds and reissuing of tickets. Islamic Medical History will be one of the key themes discussed at the upcoming BIMA National Conference 2017. Watch this interview with Mr. Sharif Kaf Al-Ghazal, consultant plastic surgeon, honorary senior lecturer at the University of Leeds, and leading international expert on Islamic medical ethics and history. Coming to the BIMA National Conference 2017? Check out our promo video on themes that will be discussed at the conference! 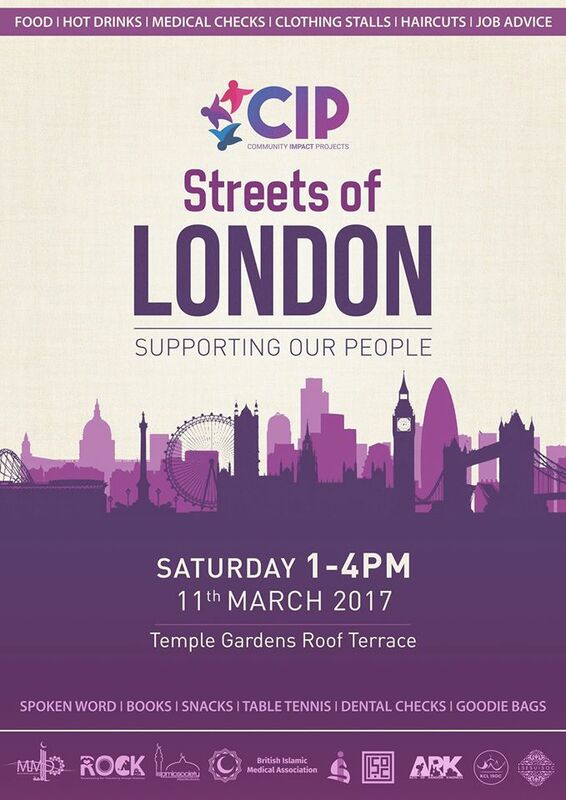 BIMA London has partnered with 5 London universities (King’s College London, UCL, Barts & Queen Mary, LSE & St George’s) to organise an activity day for the homeless this Saturday (11th March) at Victoria Terrace Gardens in Westminster. 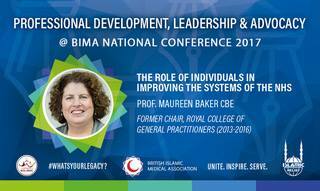 Professor Maureen Baker CBE, immediate past chair of the Royal College of General Practitioners, will be speaking in the Professional Development, Leadership and Advocacy session at the BIMA National Conference 2017. Professor Maureen Baker CBE DM FRCGP is the Former Chair of the Royal College of General Practitioners (2013-2016) and Strategic Adviser for Patient Safety in HSCIC. 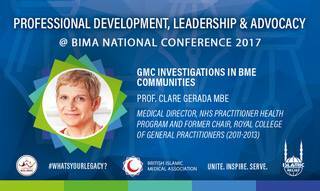 BIMA is honoured to welcome Professor Clare Gerada MBE at the BIMA National Conference 2017. Professor Gerada is a London-based GP and the Former Chair of Council of the Royal College of General Practitioners from 2010-2013; she was the first female Chair for over half a century. 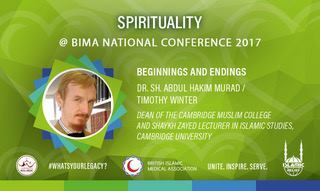 Shaykh Abdul Hakim Murad will be giving the closing session on spirituality at the BIMA National Conference 2017. 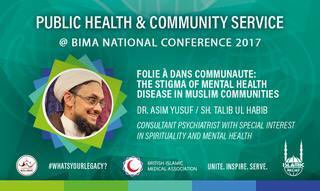 Dr Shaykh Asim Yusuf will be speaking on Mental Health at the BIMA National Conference 2017. Dr Yusuf is a Consultant Psychiatrist with a special interest in Spirituality and Mental Health. He has received twenty years of rigorous theological training and has been granted an ijaza to instruct students in the art and science of Islamic thought by scholars from four continents.